K Squared Racing is a rider owned and operated race team. Kenyon Kluge the rider and team owner has been racing since 1997 and has owned team K Squared racing since 2000. The team primarily competes in motorcycle road racing but also participates in Electric Motorcycle racing, Down Hill mountain bike racing, Hare Scrambles, motocross, and triathlons. 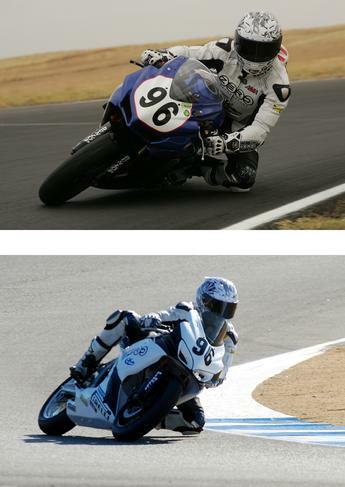 In 2012 K Squared Racing will be competing in the AFM series, 600 Production class, 600 Superbike class, and 750 Production class. We will also be contesting an electric bike in a number of the electric race organizations dates and races TBA. Additionally you may see us out on the hill riding DH Mountain bikes, at Hollister Hills riding dirbikes, or at Donner lake competing in the triathlon.